With mountains on one side and beaches on the other and a perfect weather for most of the year, Santa Barbara seems to have everything. Add to it a super cute downtown and scenic biking routes, it makes for a perfect destination to spend a weekend in. 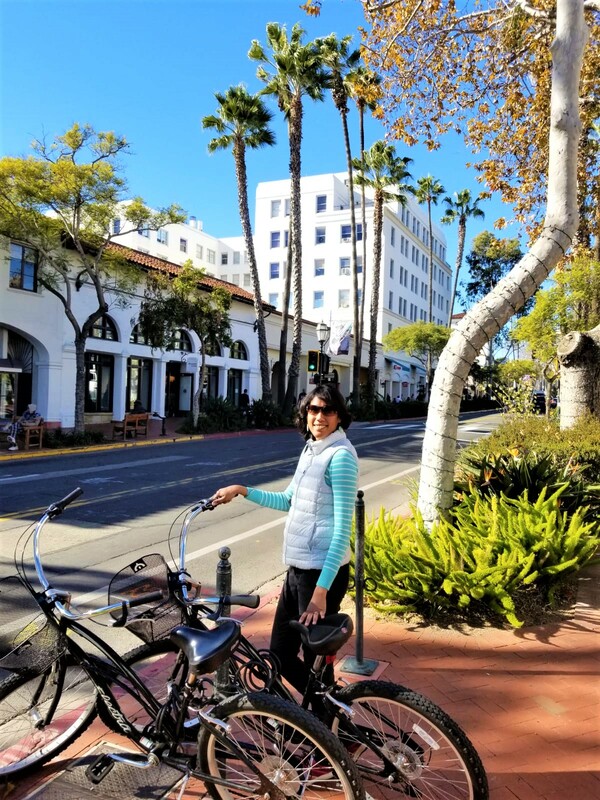 We spent a day biking there along the ocean and in their beautiful downtown in January, as we were driving back from San Jose to Phoenix, and we did not want to leave. I strongly recommend starting your day biking along the Cabrillo bike path, which is a flat wide path amidst palms trees next to the ocean. It was so lovely that we made a couple of rounds on this before heading to the downtown. 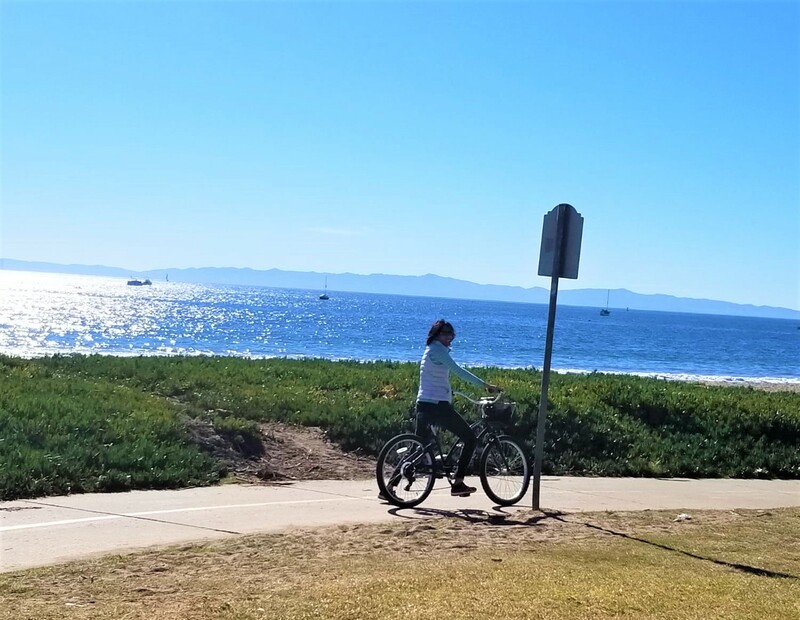 As you approach the Stearns Wharf, take a right to get onto the State St, which is the heart of the downtown Santa Barbara. Filled with lovely restaurants and cute boutique shops, it is a perfect place to grab some brunch/lunch. I think all cities with lively downtown areas and restaurants with outdoor seating like this (minus the chains) should get an award. We had lunch at Goa Taco (Tacos in Indian style parathas) and it was good. We also biked along Anacapa St and Santa Barbara St which had lovely mountain views. 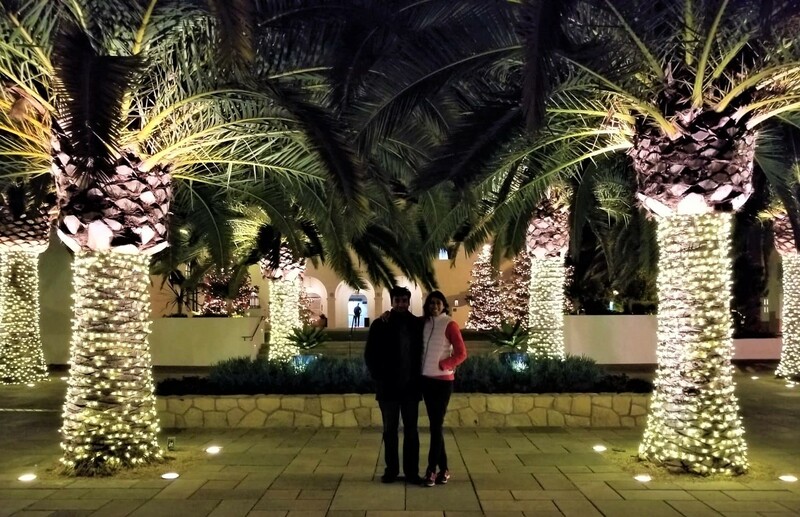 In the evening, head over to Stearns Wharf and then continue to walk along the Cabrillo Blvd and the nearby neighborhood to see the city lit up at night. 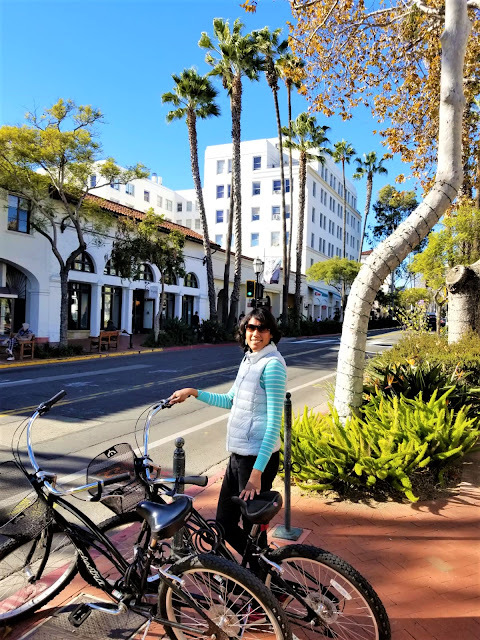 California is full of lovely coastal towns and cities making it super hard to pick a favorite, but if you are looking to explore a cool city on a bike for a day, Santa Barbara it has to be!